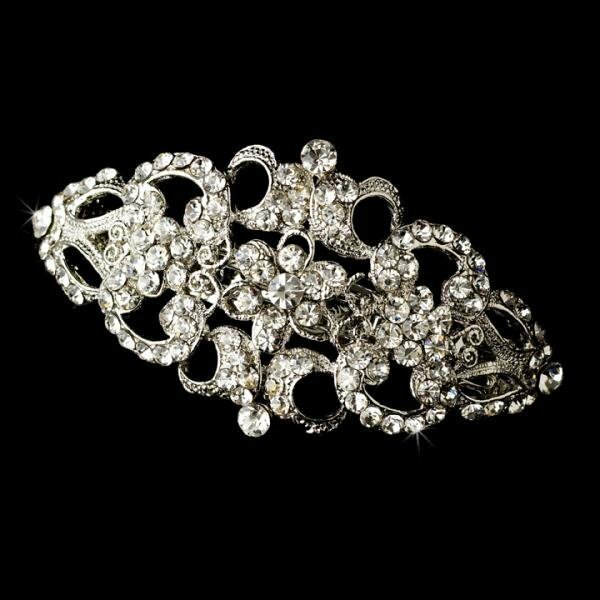 Vintage inspired wedding headpiece, this silver plated barrette features an intricate floral brocade pattern encrusted with sparkling clear Swarovski crystals. A perfect fit for your vintage inspired wedding, or to add a touch of Victorian elegance to any formal attire. Size: 10.8 cm in length and approximately 5 cm in width. 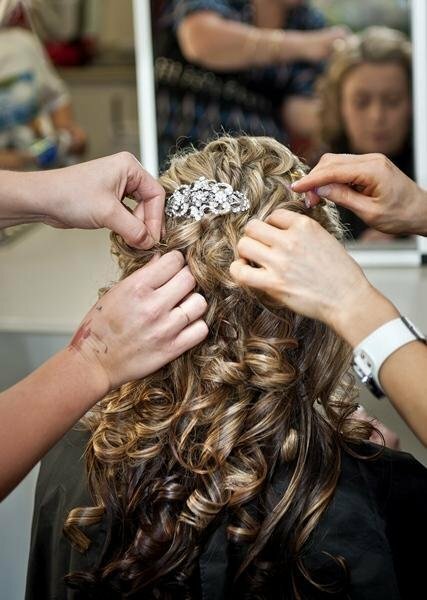 LOVED this hair piece, it was amazing quality and looked gorgeous in my hair on my wedding day! THANKS NICOLE @ How Divine!! !